"What is this special weapon we have that we fire and see pillars of smoke and fire, but nobody gets hurt? It is time for there to be injuries and deaths as well." The top story in today’s Hebrew newspapers focused on the calls for revenge at the funeral of the settler rabbi, who was killed in a drive by shooting in the West Bank, and Israel’s military and political response. Also in the news were interesting reports related to US President Donald Trump’s Jerusalem declaration. And oddly barely making headlines was the report that Trump was expected to extend the sanctions relief to Iran as part of the nuclear deal at the recommendation of his security advisors. The European Union sent its own message to Trump that Iran was complying with the nuclear deal by reassuring Iran it remained committed to the nuclear deal, according to another report. There were calls for “revenge!” (by hilltop youth) and calls for new settlements and making more settler children (by settler politicians) as another kind of revenge at the funeral of Rabbi Raziel Shevah, a father of six, who was murdered in a drive-by shooting near the the settlement outpost of Havat Gilad, where he lived. In a radical move, Shevach was buried in the outpost, the first to be buried there. The Israeli Civil Administration in the West Bank gave the go-ahead on Wednesday to build hundreds of homes in Jewish settlements throughout the West Bank. Defense Minister Avigdor Lieberman called for the legalization of the wildcat outpost of Havat Gilad, which was founded in 2002 following the murder of the settler Gilad Zar. Not one of the buildings in the settlement has a construction permit. The Israeli army imposed a partial lockdown on the nearby Palestinian city of Nablus and on nearby villages. After the funeral, dozens of settlers threw stones at Palestinians driving on the nearby road .Ynet referred to it as “venting.” (Note: Israel now considers Palestinian stone-throwing ‘terrorism.’ - OH) Video is here. Maariv’s Ben Caspit wrote that senior Palestinian Authority officials told two members of the Knesset who met in Ramallah with them that "Trump's Jerusalem declaration was the excuse we used to stop the peace process. After we received information from him, we understood that President Trump's peace plan was not good for the Palestinians.” They said Trump was acting “insane.” During the meeting, which was organized by the Geneva Initiative, the Palestinians announced that "we will no longer agree that the US will be an exclusive mediator in negotiations with Israel. In such a situation there will be no negotiations. When the President is acting insane, it is necessary to change the mechanism. The era in which the United States mediated between us and you is over." And, in response to Trump's Jerusalem announcement, the Arab League will call for the recognition of a Palestinian state. The leaders of Arab countries will meet next month to embark on a diplomatic campaign to persuade the United Nations to recognize a Palestinian state with East Jerusalem as its capital. Interestingly, Egypt is opening a criminal probe over an NYT article, which stated that Egypt tacitly accepts Trump's Jerusalem move. Egypt said there was no proof that the officer who briefed Egyptian talk show hosts on how to treat Trump's announcement was in fact a member of Egypt’s intelligence services. Why a big wave of European countries recognizing Palestine is fast approaching (David Makovsky, Haaretz+) A widening political chasm separates Israel and the EU on the Palestinians. But, in private, senior European officials say that Jerusalem’s caricature of Europe as innately hostile is now an obstacle to recognizing critical policy convergence on Iran, Syria and Saudi Arabia. As Islamic Jihad grows stronger, it’s time to talk to Hamas (Liram Stenzler-Koblentz, Yedioth/Ynet) If Israel wants to prevent Iran from expanding its influence in the Gaza Strip, it must make a perceptual change and try to see Hamas as an organization it could talk to and reach understandings with. Do Not Kill in My Son’s Name (Robi Damelin, Haaretz+) What makes us think that by enforcing the death penalty we will prevent crime? Will it bring my beloved David back? The death of guilt in Israel (Gideon Levy, Haaretz+) The horror in Gaza can continue indefinitely thanks to an Israeli state of mind that has learned to wipe atrocities out of one’s consciousness. Deadly drive-by shooting calls for improved deterrence (Ron Ben-Yishai, Ynet) Rabbi Raziel Shevah’s murder on Tuesday evening was a carefully planned ambush guided by either Hamas or Islamic Jihad; as the IDF works to thwart the next attack, the most efficient measure of deterrence in the long run is to prevent PA payments from reaching terrorists’ families. No lone-wolf attack: The guiding hand behind a rabbi's murder in the West Bank (Amos Harel, Haaretz+) The fatal shooting of Rabbi Raziel Shevach seems to have been the act of a skilled terror cell, not a random crime of opportunity. 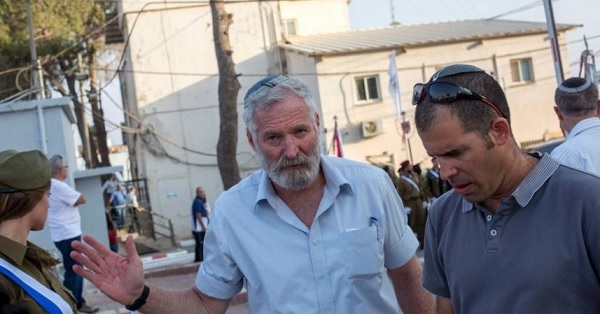 A place to Tweet: Israel must deal with the 'price list of terror' (Lilac Sigan, Maariv) The post on Twitter by Bennett yesterday got a lot of support on the right, and for good reason. "The terrorists knew Abu Mazen's price list and knew how much money they would receive for the murder," he wrote. "In order to eradicate terror, it is not enough to put a hand on the murderers, but rather to strengthen the settlement enterprise,” he said. 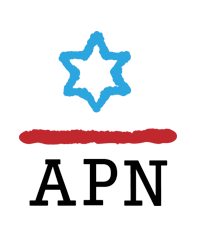 In the world of cynical politics, the tactic of “May G-d avenge his blood,” which is arouse feelings of anger after a murderous attack, is a good recipe for ratings and applause, but this time (Education Minister Naftali) Bennett went too far. A little logic wouldn’t hurt. A little logic will not hurt: How exactly will (the construction of) another settlement prevent the next murder? First, it would only increase the friction between the already chafed populations, and secondly, it would not stop the murder-cash-money industry. Don’t credit 'Sloppy Steve' Bannon for a pro-Israel presidency. It’s always been Trump (Jonathan S. Tobin, Haaretz+) Some on the Jewish right banked heavily on Steve Bannon and his pro-Israel heft. But they got it wrong: It's Trump’s instincts deciding American policy, and that means support for Israel, and obvious antipathy for the Palestinians and Iran. Hayut, Shaked gear up for Supreme Court nominee tug of war (Tova Tzimuki, Yedioth/Ynet) With all 25 nominees announced to fill 2 vacant spots on Supreme Court's bench, Justice Minister Shaked, Chief Justice Hayut and bar association president Nave prepare to start negotiations. Israel is becoming an illiberal thugocracy, and I'm running out of ways to defend it (David Rothkopf, Haaretz+) It's not just the BDS blacklist. In Israel, the basic rights and values underlying democracy itself are being repealed. This is how we are, losers: The establishment of another (settlement) community will be revenge for the murder of Rabbi Shevach (Karni Eldad, Maariv) The IDF put a siege on Nablus, but it is only a small traffic jam. The cork will be released and the fabric of their lives will be preserved. The texture of our death, however, will deepen the tear lines of (our) face. Netanyahu's real target isn't Israel boycotters. It's Israel's democracy (Daniel Sokatch, Haaretz+) Only authoritarians fear freedom of expression – and Israel’s extreme right are no exception, using Trumpian tools of scapegoating, incitement and lies. But Israeli democracy is not dead yet. Trump’s Mideast ‘achievement’: A growing rift with the Palestinians (Sever Plocker, Yedioth/Ynet) It’s hard to estimate how long Donald Trump will survive in office, but even if he goes, the deep change he led in the US policy towards the current Palestinian leadership will reverberate for years; that leadership is finished and it’s time to replace it, just like it’s time to replace our own leadership. Does Trump want to starve the Palestinians into submission? (Marilyn Garson, Haaretz+) The U.S. administration's threat to withhold funds from UNRWA, where I worked, will drag down two million Gazans from an economy of scarcity down to a politics of hunger. Politics are negotiable: food must not be. When one side’s bravery is another side’s humiliation (Nahum Barnea, Yedioth/Ynet) The Ahed Tamimi affair isn’t unusual, but the unusual attention it has received exposes the distortions of the occupation: The separate legal systems for Jews and Arabs in the territories, and the fact that a settler who kicked and cursed a police officer was sentenced to three months of community service, while the Palestinian girl will likely spend several months in prison. Why I’m Angry With Israel’s Mizrahi Elite (Uri Avnery, Haaretz) I’ve always hoped that the second or third generation of Jews from Muslim countries, remembering their forebears’ contribution to Islam’s Golden Age, would be a bridge from Israel to the Muslim world. How Lebanon managed to end its bloodiest conflicts, while Israel failed (Oren Barak, Haaretz+) Both Lebanon and Israel increased their territories in the wake of war and found themselves ruling new populations. But there's one glaring difference between the two expanded states. The Sick Historical Precedent for Israel's Asylum-seeker Expulsion Push (B. Michael, Haaretz+) Israel's push to expel 45,000 African asylum seekers and migrants borrows from Eichmann's 1938 playbook for expelling Austria's Jews. UNICEF has declared war on the IDF (Liora Cohen, Israel Hayom) Baseless accusations that Israel violates the rights of Palestinian children are becoming yet another tool in the arsenal of the extremist government-funded groups that try to delegitimize Israel. Women in the Israeli military just aren't cut out for combat roles (Lizi Hameiri, Haaretz+) The Israeli army is deluding itself and risking the well-being of its soldiers by pretending men and women have equal strength. We must not turn Yair Netanyahu's behavior into the norm among young people (Anat Moshe, Maariv) Do not give the prime minister's son a pass: Not all 24-year-olds go out on Friday night to strip clubs, whether they are or aren’t under the influence of alcohol. What Yair Netanyahu learned at home about the status of women (Shira Makin, Haaretz+) Just look at the father's record to understand the son's attitude. The filthmongering media (Dr. Haim Shine, Israel Hayom) The publication of the sordid, drunken exchange between Yair Netanyahu and his friends is nothing more than a dirty media attempt to unseat his father, the elected prime minister. Yair Netanyahu said his dad arranged $20b for gas tycoon. How much will he really make? (Eran Azran, Haaretz+) Based on reports by the Tamar natural gas partnership, it seems Kobi Maimon would only take in hundreds of millions of dollars. Here's why. Yair Netanyahu's actions are a disgrace to the state (Haaretz Editorial) The problem isn't the young Netanyahu's vulgar utterances, but rather his actions. The prime minister should teach his son how to treat the state and its employees with respect.